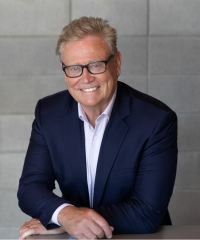 James Haggerty joined New Zealand Sothebyâ€™s International Realty in 2015 after an extended period in the commercial real estate market in Napier. He brings with him more than 30 yearsâ€™ experience in marketing as well as business ownership, adding an impressive skill set to his sales role. To be involved in residential sales at the premium end of market has an inherent appeal to James. He appreciates the opportunity to focus on a small, select number of properties at any one time ensuring that each client obtains the very best result possible. Jamesâ€™ principal focus is on residential sales in the Napier area, with particular emphasis on the Napier Hill, Ahuriri and Westshore. For all of your property requirements, contact James. "James just made the whole sale process so easy and without any stress to us. We were very happy with the result so much so we recommended him to a friend in the neighbourhood where he achieved a similar result." "James acted as our listing and selling agent for our Westshore property. Throughout what was a relatively short sales process he communicated well with us and was very respectful of our privacy and space. I would have no hesitation recomme...nding him to other intending vendors." "We sold both of our homes via James in the last 12 months. We were delighted with his professional approach, careful attention, prompt responses and results." "We were very pleased with the level of professionalism and experience that James provided us and would highly recommend him to any intending vendors." "When James acted as agent for the sale of our Havelock North home we were impressed with his regular progress updates and general level of communication with us. The entire sales process was handled efficiently and at all times we were made awar...e of James’s rationale toward achieving the best possible price. Overall James’ professionalism exceeded our expectations and we would not hesitate in recommending him and New Zealand Sotheby’s International Realty for future house sales." "We recently were looking to market our property and after some thought employed New Zealand Sotheby’s International Realty to help us with that. After an introductory meeting, which we found very professional, James Haggerty was the agent ...considered the right man for the job. Here is where we would like to say James was nothing but pleasant, hardworking and the utmost professional in all dealings and information sharing. Kathy and I liked James and have no problem recommending him."